What will Pluto look like? Way back in August 2005 I first started working at the Melbourne Planetarium. 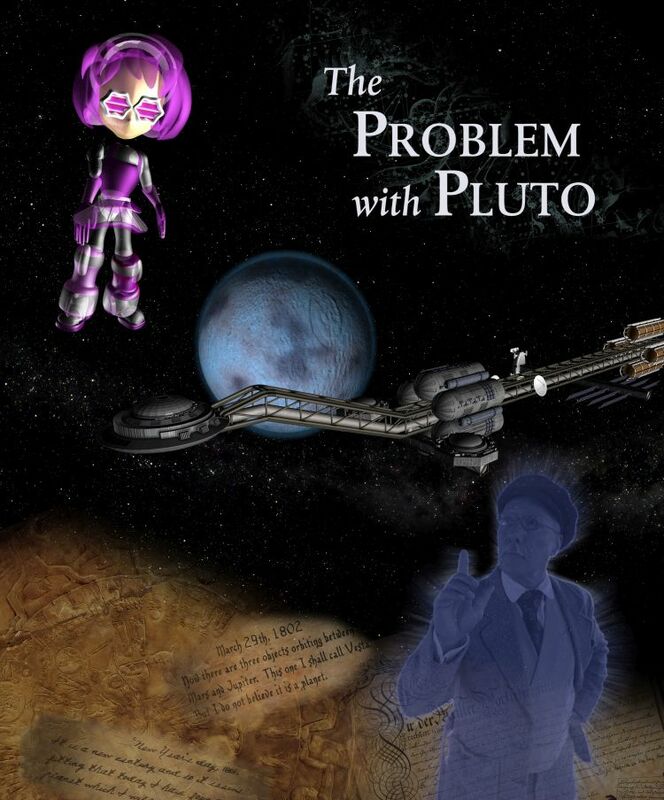 I was brought in as an animator on Melbourne Planetarium’s very first, fully-rendered fulldome production ‘The Problem with Pluto’. At that time the debate was still raging as to whether Pluto should be considered a planet or not. It wasn’t until September 2006 that the IAU formally reclassified Pluto as a dwarf planet. My work on ‘The Problem with Pluto’ included designing and building the futuristic spacecraft that would take the show’s hero Lucy on a journey through the solar system. Another task was to design and model Pluto itself. But of course there was very little available in the way of visual references for how Pluto looked back then. There were some images from Hubble and today, these are still the best we have. While we were still in production, the New Horizons spacecraft was launched on it’s mission to Pluto. That was back in January 2006. At the time I thought, wow that thing is going to take nine years to get there! I wonder where I will be then? Funnily enough, I think it will be right here at the Melbourne Planetarium. 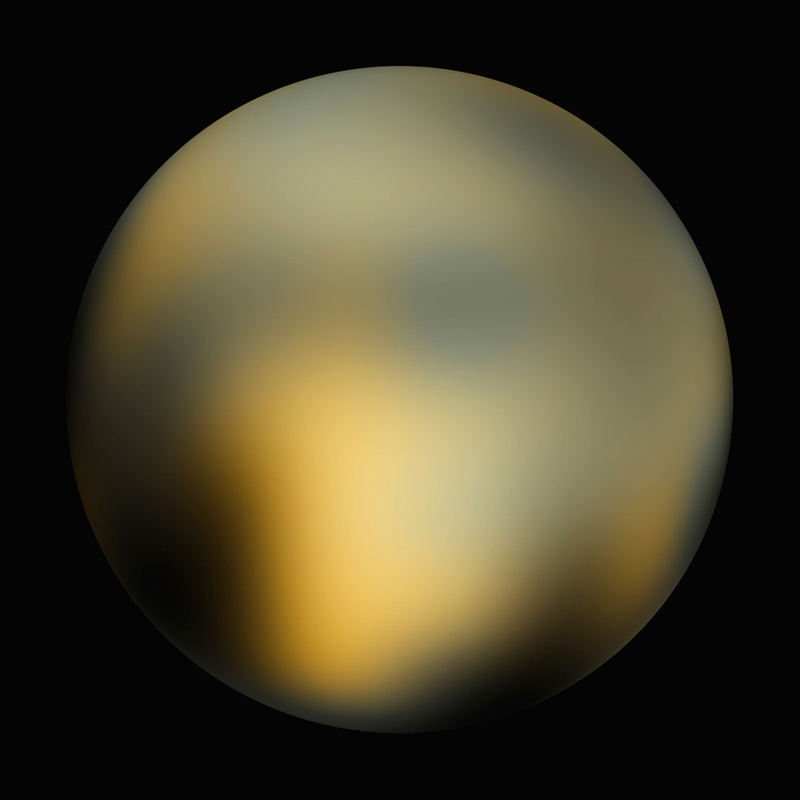 So, what will Pluto look like? On July 14, the Event Horizon mission will complete the first ever flyby of Pluto and we will finally have an answer. I for one can’t wait. This entry was posted in Uncategorized and tagged Melbourne, Pluto. Bookmark the permalink.